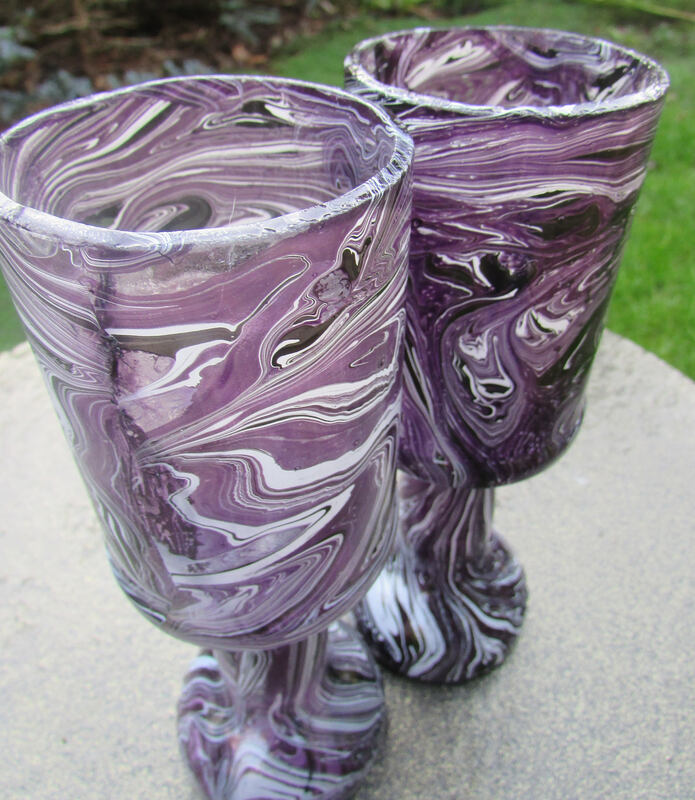 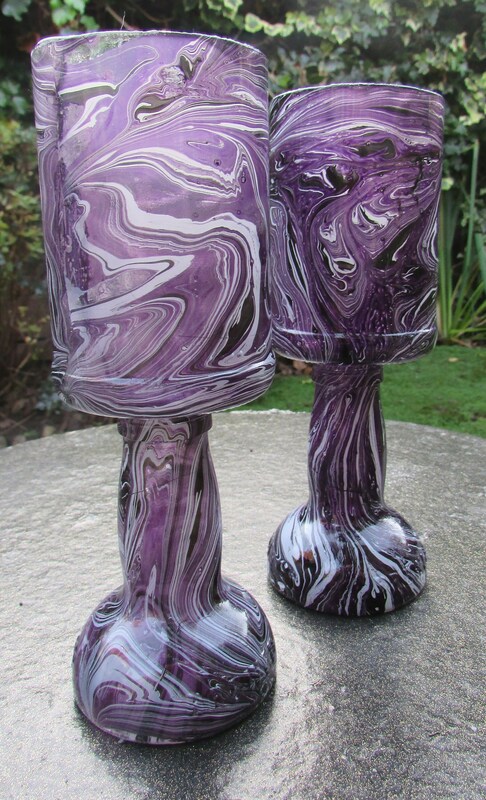 Beautiful pair of glasses cut from upcycled bottles, hand finished and dipped in a rich purple and white marble glaze. 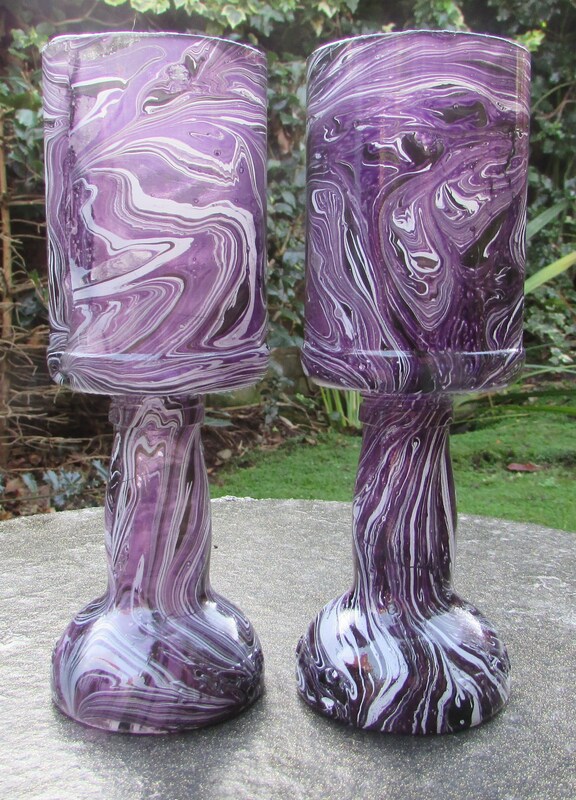 Each is cut from a chunky bottle, and so they are much sturdier than mass-produced glasses. 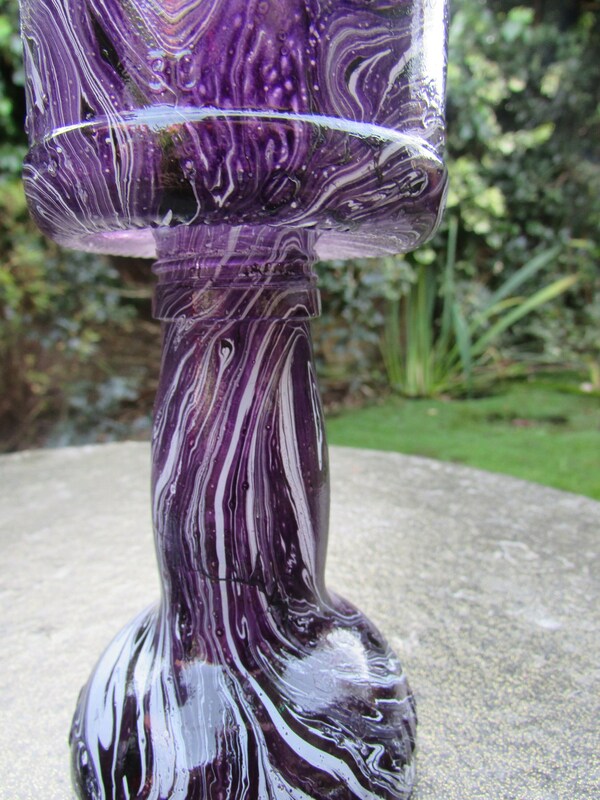 Hand wash only, no not soak.